We're currently transferring info of past events from their previous location at http://www.caithness-science.org/index.php?option=com_agora&task=topic&id=39&p=2&Itemid=57#p159. Please bear with us as we do so. 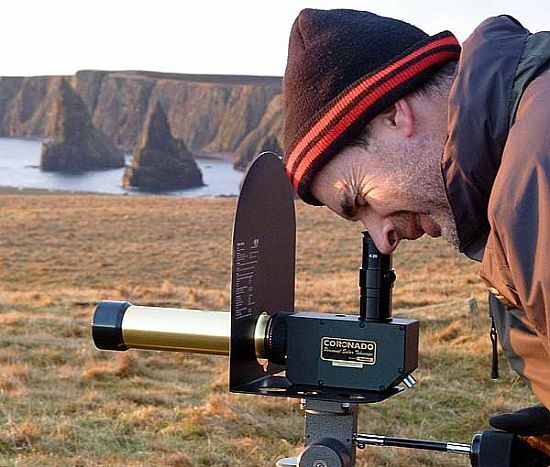 Early January saw Caithness Astronomy Group undertake two events in collaboration with the BBC Stargazing LIVE events. Despite unfavourable weather forecasts we were lucky to get a gap in the clouds which allowed observing to take place. The event on the evening of the 3rd January was held at Castlehill Hertitage Centre, Castletown where an assembled audience of all ages were given a guided tour of the winter night sky which included views of the Milky Way and the cloud bands on the giant planet Jupiter together with 3 of its moons. Several bright shooting stars (Quadrantid meteors) were also observed. Above photo shows Mike Lunan from Caithness Astronomy Group during his talk. 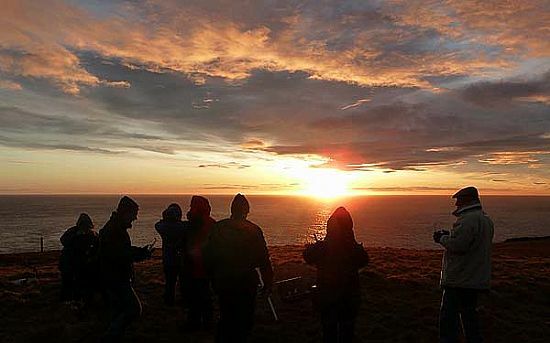 This was followed by a continued tour of the night sky outside under the stars and then a talk by CAG Chairman Gordon Mackie covering the observing highlights to look forward to in 2011. 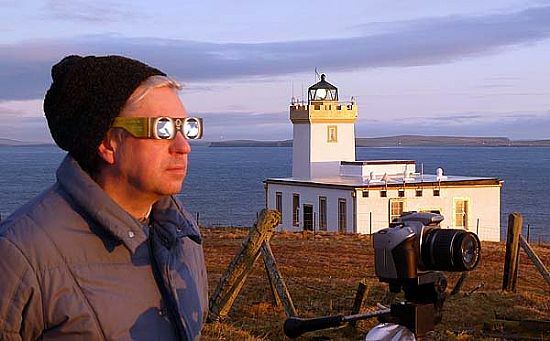 On the morning of the 4th January Caithness Astronomy Group and a few other early risers gathered at the scenic spot of Duncansby Head in anticipation of seeing a partial solar eclipse at sunrise. Then right on cue the Sun made an appearance. 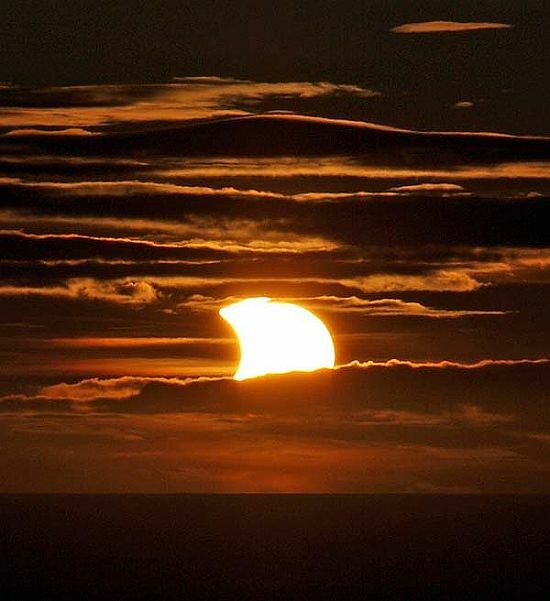 Through appropriate filters the Sun was viewed for the next 30 minutes until the end of the eclipse. 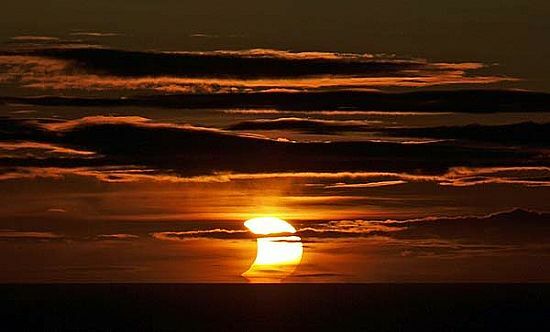 Now we have to wait patiently for the next solar eclipse visible from the UK which will be in 2015.